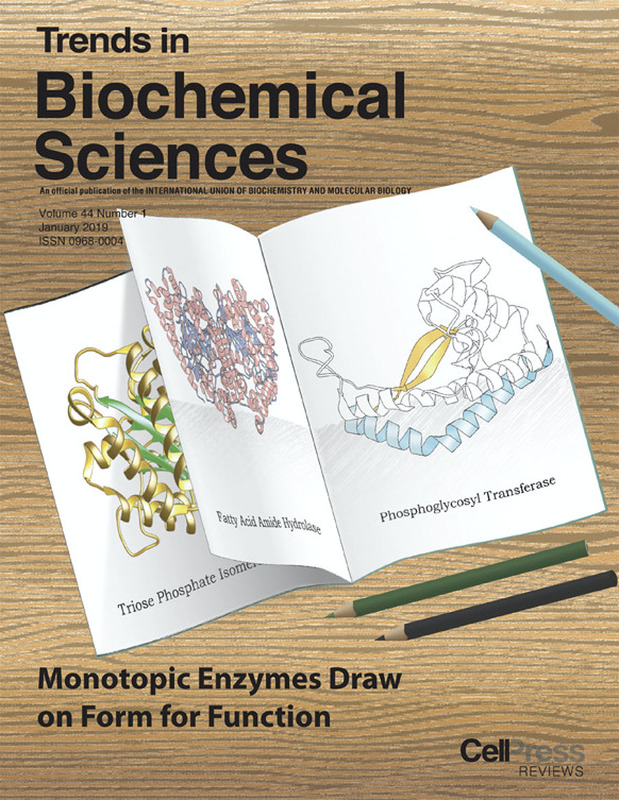 “Insights into the Key Determinants of Membrane Protein Topology Enable the Identification of New Monotopic Folds” ” Entova, S.; Billod, J-M.; Swiecicki, J.M. ; Martín-Santamaría, S.; Imperiali, B. eLife, 2018, 2018;7:e40889 doi: 10.7554/eLife.40889. "Membrane Association of Monotopic Phosphoglycosyl Transferase Underpins Function” Ray, L. C.; Das, D.; Entova, S.; Lukose, V.; Lynch, A. J.; Imperiali, B.; Allen, K. N. Nature Chem. Biol. 2018, 14, 538-541. doi: 10.1038/s41589-018-0054-z. “Facile Solid-Phase Synthesis and Assessment of Nucleoside Analogs as Inhibitors of Bacterial UDP-Sugar Processing Enzymes” Madec, A. G. M.; Schocker, N. S.; Sanchini, S.; Myratgeldiyev, G.; Das, D.; Imperiali, B. ACS Chem. Biol.2018, 13, 2542-2550. EVERYTHING YOU ALWAYS WANTED TO KNOW ABOUT……! “Monotopic Membrane Proteins Join the Fold”, Allen, K.N. ; Entova,, S.E. ; Ray, L.C. ; Imperiali, B., Trends Biochem. Sci. 2019, 44, 7-20. "Analysis of a Dual Domain Phosphoglycosyl Transferase Reveals a Ping-Pong Mechanism with a Covalent Enzyme Intermediate", Das, D.; Kuzmic, P.; Imperiali, B. Proc. Natl. Acad. Sci. U.S.A. 2017,114, 7019-7024. PMCID: PMC5502628.